Enjoy crystal clear phone calls and lightning fast data speeds while you are on the go. 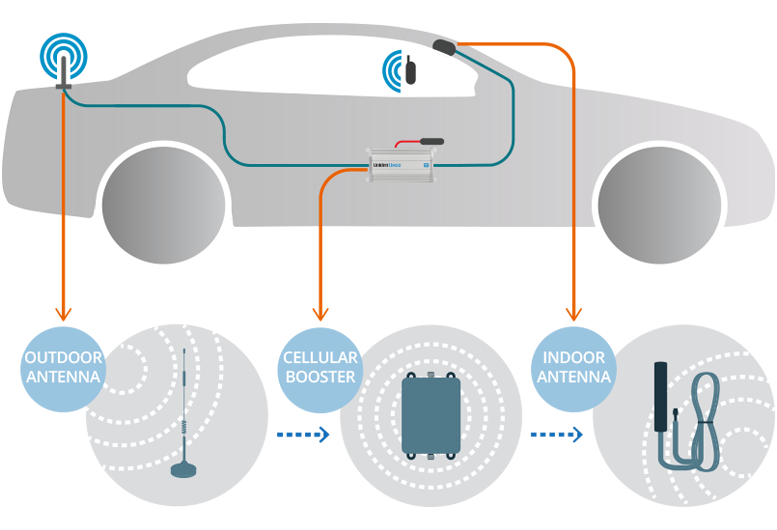 The Uniden® UM50 4G Cellular Booster Kit has 50 dB of gain and 25 dBm of output power, which can give you a much improved cellular coverage in places like your car, RV, boat or ATV. Few things are more frustrating than a weak cellular signal causing dropped calls, hanging web pages, frozen video streams and blocked online games. Wirelessly connect up to 20 of your favorite devices and get a boosted signal on all 4G and LTE networks.